Skin exfoliation by using a good scrub is essential to remove the dead skin cells and to avoid the settlement of dirt and oil in your skin pores. Natural scrubs not only deeply cleanse your skin but improve blood circulation, enhance fairness and give you a rejuvenated skin. Mostly scrubs works good for women but unfortunately don't work well for men's skin, which is more thicker and less sensitive. However here are some natural scrubs that really work wonderfully for improving their complexion and have been shown excellent results. Take 1 tablespoon of Dried orange peels and 1 table spoon of Dried Lemon Peels. Mix 2 table spoons of curd(yogurt). Blend them well and then gently apply on face and neck and massage in circular motion for 2-3 minutes.Leave this mixture for 10-15 minutes and let the skin absorb the ingredients. Finally rinse off with fresh water. This home made scrub is best for dry skin. Take 1/2 a cup of rice flour, and 1/2 a cup of mashed ripe papaya. Add the juice of 1/2 a lime. Wash the face with water and gently apply this paste on face and neck by your fingers then gently massage in circular motion with help of your fingertips. After 15 minutes rinse off with warm water. For Best results repeat this twice per week.Papaya is considered very effective for skin exfoliation as well as skin whitening. Lime is a natural bleaching agent and enhances fairness. This scrub is best for oily skin. Almond scrub works wonderfully for removing dead skin cells and give you fairer skin. Almonds are rich in vitamin A with moisturizing and emollient properties. Grind some Almonds by using a coffee grinder. After grinding they will resemble coarsely ground corn meal. Now add some lemon juice to make a coarse paste. Lemon is a natural skin bleaching agent and helps a lot in skin whitening. (if you are allergic to lemon juice, you can replace it with rose water). Now apply this coarse mixture on your face and neck and gently massage in circulation motions for 2-3 minutes. Let it stay on your face for 10-15 minutes and then rinse off with water. You can make a natural scrub by mixing 2 tablespoons of oatmeal, 2 tablespoons of sugar, and a quarter cup of milk. Blend the mixture until it was semi-solid. Apply to face and neck and massage in a circular motion. Let it stay for 10-15 minutes and then wash your face. Take half cup of oatmeal, 1 tablespoons of tomato puree, 1 tablespoon of yogurt, 2 teaspoons of lime juice and 1 teaspoon of honey. Blend them well and gently massage in circular motions for 2-3 minutes. Let it stay for 10-15 minutes. Finally rinse off with fresh water. 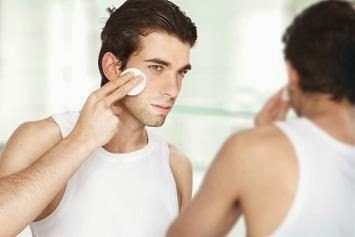 (ii)Before Applying any scrub wash your face and neck with fresh water and any beauty soap of your own choice. (iii)Gently scrub in small circular motions but don't be too harsh. 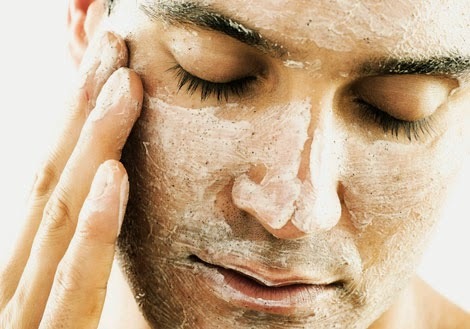 Don't scrub for more than 3-4 minutes but let it stay on skin at least for 5-10 minutes. (iv)After scrubbing, use a light moisturizer to prevent dryness. (v)For best results use any scrub twice per week.